Observation - Cormorant - UK and Ireland. 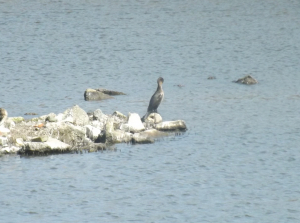 Description: Possible Cormorant sat on rocky island in one of the lakes at Llanelli WWT site. Only noticed it when reviewing the photograph later. Possible Cormorant sat on rocky island in one of the lakes at Llanelli WWT site. Only noticed it when reviewing the photograph later.